In a speech on 26 Oct 2009 to the New York State Bar Association that covered the press situation in Singapore, Law Minister K Shanmugam did little more than to successfully tackle a straw man. Questioning Reporters without Borders’ (RwB) press ranking of Singapore (133 out of 175 countries), Shanmugam oddly urged for the ranking to take into account the economic success of Singapore since independence. The Law Minister must know that RwB judges every nation’s press freedom standards by the same measure – so how could he expect special “objective” treatment for Singapore? After all, Singapore was not ranked below Kenya and Congo in press freedoms this year without reason. Had Shanmugam revealed a more holistic picture of the press scene in Singapore to his visitors from New York, he might not have been so dismissive of the RwB report he sought to discredit. In truth, the Law Minister was probably acutely aware of the state of the press in Singapore – it just did not serve his interests to reveal the other side of the story. Unfortunately for him, discerning Singaporeans, Americans and foreigners at large, are well acquainted with the other side of the story. Singapore Press Holdings (SPH), the largest media conglomerate in Singapore maintains a monopoly over the press. It regularly makes profits in excess of $400m dollars a year, recession or not, and its chairman happens to be a former deputy prime minister who is a member of the same political party as Mr Shanmugam. SPH’s group president from 1995-2002 was a former director of the Internal Security Department. The current political editor of The Straits Times, the most widely read English daily published by SPH, is a former Internal Security Department officer. There is no Freedom of Information Act in Singapore. Only some months ago, The Straits Times had the gall to remove comments made by the Finance Minister in parliament that covered Singaporeans’ right to information on matters involving the state’s sovereign wealth fund, Temasek Holdings. On assuming responsibilities as chairman of SPH in the early 1980s, the current President of Singapore, Mr S.R. Nathan, was famously told by then Prime Minister Lee Kuan Yew that he was being handed a porcelain vase that if broken, could never be put back again. By MM Lee Kuan Yew’s own admission, government press control and management have been central to the ruling People’s Action Party’s (PAP) grip on power since independence in 1965. In shrewdly seeking to conflate Singapore’s economic success against the irrelevance of international press freedom rankings, Law Minister K Shanmugam sought to justify the importance of maintaining the government’s indirect control over the press in Singapore. In reality, Singapore’s economic success since the 1960s is of little relevance to RwB, as is the economic performance of any other country it ranks. Correspondingly, the Law Minister ought to have respected the objective ranking standards of RwB, in step with his triumphant references to reports from the World Economic Forum, IMD, Moody’s, Mercer and Mori, which rank Singapore favourably in economic, legal and quality of life indices. In a curious blast from the past, Shanmugam also spoke of an Asian value system of human rights with reference to American perceptions about Singapore. But sadly, what constitutes this value system was not properly explained to his visitors from the New York State Bar Association. If the minister was referring to “Asian values”, he ought to have been reminded that that particular debate is long dead and buried. In “Human Rights and Asian Values” (first published in 1997 at The New Republic), Amartya Sen had already debunked it completely. The simple generalisation of Asian Values does not adequately explain the cultural ethos of a multi-racial state like Singapore. In fact, even MM Lee had long withdrawn himself from this debate he so enthusiastically engendered, when he clarified that what he meant by Asian values were not applicable to Southeast Asia. The least Shanmugam could have done was to express what he meant by a term that has all but disappeared from the international public lexicon, rather than to frame an argument around it.In justifying his “Asian value system of human rights”, Shanmugam went on to detail the existential threats that confronted Singapore in an era of decolonisation. Perhaps he meant to say that people were locked up without trial in Singapore because that was the price to pay for development and economic prosperity. In speaking of a past which many Singaporeans have little memory of, the Law Minister was better placed to speak about a Singapore of tomorrow, rather than to justify the political matrix of yesteryear. After all, Shanmugam was selling Singapore as a great place to do business to his American visitors – he might well have sourced more business for Singapore if he gave his support to a PAP government that respected a free and responsible press, in addition to one that drew a line at Singapore’s Cold War era press control regimes. Rather than propose a standard for RwB that is incongruous with its press freedom index template, the Law Minister should have made a commitment to align Singapore’s press freedom regime with that of other democracies. 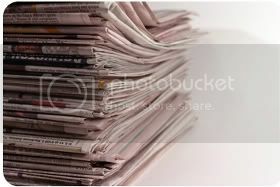 And if the minister cares to put his mind to it, the choice of one or two independently-owned and operated newspapers at his doorstep at 6am in morning, in addition to The Straits Times, may well serve to put a smile on his face the next time RwB releases its press freedom index.